La Cave-store is an online wine shop born in a complete project that is able to satisfy the tourist welcome in Roero area, in the hearth of Piedmont. 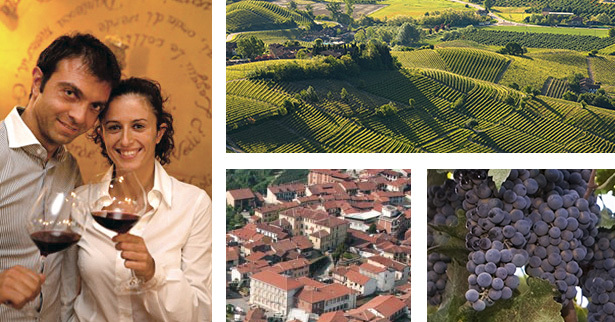 Not so far from Alba and Langhe, this is a territory characterized by great wines and culinary excellences. La Cave-store is the last tessera of the project Roero Square born about ten years ago because some some local families decided to create something new and considerable for Montà d’Alba town but also for the surrounding territory. In the main square, that today is the meeting place for local residents and tourists, there was a crumbling restoration workshop built at the beginning of the 1900. This workshop has been regenerated preserving the traditional characteristics and adding on contemporary elements. Thanks to these activities, Marcelin restaurant, Casa Americani hotel and Cremeria Art-é are born. Our attention is totally oriented towards people: we pay big attention to the quality of our services and to the experiences that people live with us. In this perspective, we keep a great care in the selection of the wine list for the restaurant, that is also purchasable online in our e-commerce. Sign up to the newsletter and you'll receive the voucher to save the 5,00 € of your first order.